I replaced it with a genuine blade. Compared with the original, there is no chatter and it moves smoothly. Durability is also high. This review is about item#1242544. Used for Ford Explorer's front passenger wiper. The adapter fits well, and the drain is well satisfied. This review is about item#1242535. Used for VW POLO (6R). It was possible to install easily with the included adapter. This review is about item#1242553. The installation attachment was also easy to understand, and it was possible to attach a pon. The genuine parts were solved with one shot that the chatter was terrible. This review is about item#1242562. It is well drained and can be used without problems for now. This review is about item#01242526. Attachment also entered by car type, if you work according to the instruction book, it was able to be installed immediately. It is comfortable without chattering during operation. I'm looking forward to how long the water repellent effect will last. I am on a rare car in France Renault, but this type of wiper has good performance and only rubber can be exchanged. 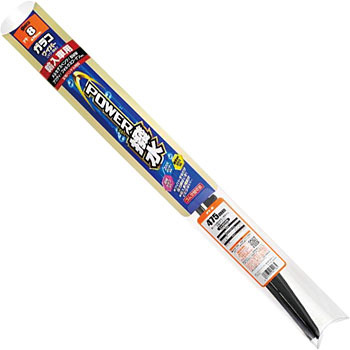 Even if it was put at the car supplies store, the size was limited and the upper price was also high, cheap and the size was also well aligned I bought it here. I would like to continue purchasing rubber refills from now on. Despite the imported car, it fits perfectly. I am satisfied. I bought it cheaper than anywhere by using coupons.